Today, and with the release of Dynamics 365, Microsoft further underscores a commitment to “digital disruption” with a CRM platform ideal for small to medium-size businesses. This fully cloud-based platform (Azure cloud) fulfills an important niche in the ‘digital transformation’ of consumer data and information. Given the fact that today’s consumers embrace new modes of technology to enhance their buying experiences, Dynamics 365 provides the mobility for the consumer to interact with their brands, as well as transact as they move about. 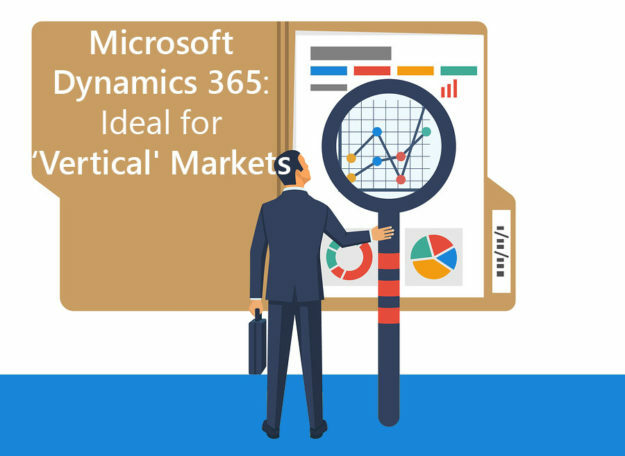 Dynamics 365 is well suited for numerous business applications, from operations, field service, project service automation, customer service, sales and marketing. For example, a third-party app equips Dynamics 365 for Operations to handle certain operations-warehousing flows. Through mobile devices, warehouse staff can monitor material handling, receiving, picking, cycle counting and production processes. In addition, the software can process vendor consignment inventory; direct and ATP shipments via intercompany orders; collaboration with vendors. What’s more, decision-makers use Dynamics 365 to choose among options for “best sourcing strategy,” such as different warehouses, or to make partial shipments. Now that we are in 2018, all of what was predicted back in 2015 has come to fruition and more. Cloud is not the “future” its “now and present”. Contact us. We are a certified Microsoft Gold Partner and can help you with your Dynamics 365 research and ERP/CRM selection process. An ERP or CRM which works with all verticals are the need of the time.